A pesticide is a chemical used to prevent, destroy, or repel pests. Pests can be insects, mice and other animals, weeds, fungi, or microorganisms such as bacteria and viruses. Some examples of pests are termites causing damage to our homes, dandelions in the lawn, and fleas on our dogs and cats. Pesticides also are used to kill organisms that can cause diseases. Most pesticides contain chemicals that can be harmful to people, animals, or the environment. For this reason the Office of Pesticide Programs of the Environmental Protection Agency regulates pesticides in the United States to protect public health and the environment. Did you know that these common products are considered pesticides? Cleaners used to disinfect the kitchen floor. Cleaning products used to remove the mildew on bathroom tiles. Lawn and garden products to kill insects and weeds. Algicides – Control algae in swimming pools and water tanks. Antimicrobials – Kill microorganisms (such as bacteria and viruses). Attractants – Attractants are traps containing a pesticide and food to lure insects or rodents inside. However, food is not a pesticide even though it certainly attracts pests…like ants at a picnic. Disinfectants and sanitizers – Kill disease-producing microorganisms in the kitchen and bathroom. Fumigants – Produce gas or vapor intended to destroy pests in the house or in the ground. Fungicides – Kill fungi (including blights, mildews, molds, and rusts). 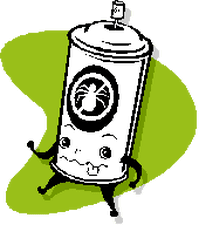 Insecticides – Kill insects and other arthropods. Miticides – Kill mites that feed on plants and animals. Microbial pesticides – Microorganisms that kill or inhibit pests, including insects or other microorganisms. 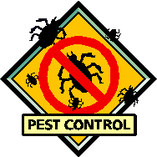 Sometimes microorganisms get rid of pests simply by growing larger in numbers, using up the pests’ food supply, and invading the pests’ environment. Molluscicides – Kill snails and slugs. Nematicides – Kill nematodes (microscopic, worm-like organisms that feed on plant roots). Pheromones – Biochemicals used to disrupt the mating behavior of insects. Repellents – Repel pests, including insects (such as mosquitoes) and birds. Rodenticides – Control mice and other rodents.